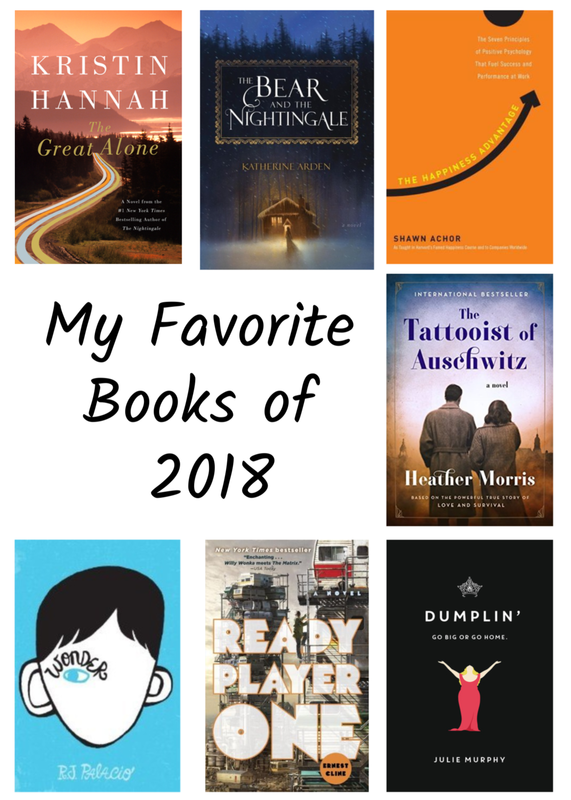 While many of these books did not actually come out in 2018, they were new to me and I think worth reading. I have a good mix of genres included as well so hopefully you will all find something to add to your reading list! 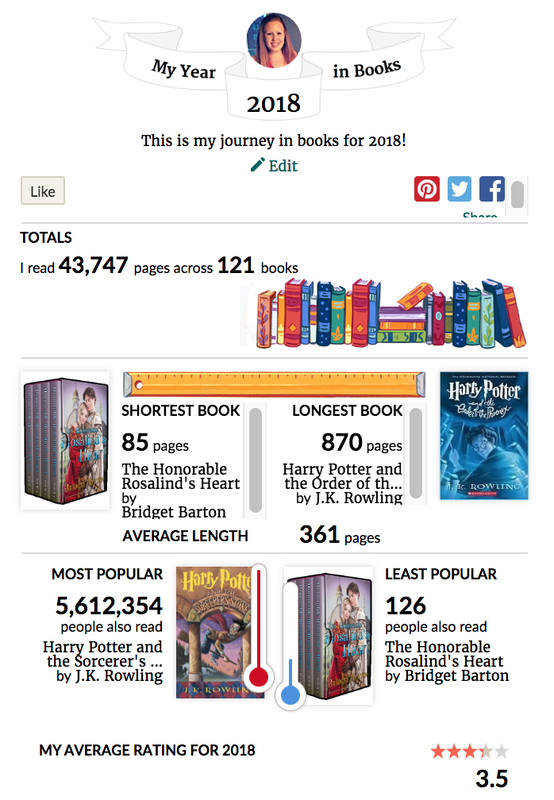 If you want to see what else I read, be sure to check out my Goodreads account. This book really gets into your soul and makes you feel like you are right there with Leni, seeing the beauty she sees but also feeling everything from hollowness to inexplicable need to the numbness that comes from denying what both our head and our heart say is right in an effort for survival. Survival of one's self and survival of love. I read this book so quickly because there was never a stopping point. I never found myself thinking, that's enough for today. I had to know what happened and I didn't want to extricate myself from their world. I loved the stories that this book told, stories of people who lived so remotely most of us can't even comprehend it and stories of people who loved fiercely in many circumstances and types of relationships. The Great Alone isn't just about a family who moves to Alaska. The Great Alone is about learning who you truly are when pushed to the breaking point and pushed to make hard choices, day in and day out. I absolutely loved this book. It was enchanting and the writing was beautiful. In the beginning, it was difficult to follow all of the different characters as their names were foreign to me, but once I got into the story I couldn't put the book down. All of the creatures were both frightening but fascinating and some eventually became endearing. Vasilisa was a wonderful main character - she was strong and did not fear what she had to do to help her family. She didn't care what people thought of her as long as she was doing what was right. I look forward to the rest of the trilogy! I picked chose The Tattooist of Auschwitz because it has been a popular book this year and because a coworker of mine said it was amazing. She has great taste in books so, despite knowing it would have many disturbing and sad moments from being a Holocaust story, I decided it was probably worth my time and I was not disappointed. It did not take long to read and I appreciated every moment of hearing this man's story and experience during WWII. The author did a wonderful job of capturing his range of emotions as well as his desire and reluctance to do what he had to do to survive. I am actually surprised at how much I enjoyed this book. I saw that the movie had come out and I love reading books before seeing the movie so I thought I’d give it a shot. The story really pulled me in and I couldn’t put the book down - I had to know how it ended! I loved the inclusion of 80’s trivia in the future and the world within the OASIS was interesting. I also appreciated the underlying commentary on the pro’s and con’s of being absorbed in technology vs living in the “real world” with other people. I only read a few personal development books this year, however, the Happiness Advantage was by far my favorite. I liked the overall message portrayed by the book and I have a lot of great takeaways and actionable items from my time reading it. I never agree 100% with everything in a personal development style book, but I always learn something beneficial to apply to my life. I read Dumplin’ because when I saw the movie on Netflix I decided to read the book first. I have to say, the book is far better than the movie! Sure, it was a cute movie, but the book dove far more into each character and the complexities behind their choices. There was also a lot of plot cut out to make the movie work, so I highly recommend picikng up the book if you enjoyed the movie.